A UK marine bunkering terminal within the English Channel supplies vessels by bunker barge at the outer and inner harbour anchorages as well as direct via a loading arm or bunker hose. A bunker is the storage vessel used to hold the fuel – typically this is inside large fuel tanks. Marine bunkering is the action of storing and supplying the ships with fuel. It is referred to as a bunker because in the past when ships used to run on steam when powered by coal, the storage containers for the coal were known as a bunker. So it a nutshell, marine bunkering is just a vessel refuelling. At the terminal, tank gauging systems have been installed giving the terminal operators maximum control over product movement, along with the installation of new flow meters giving high accuracy and precise measurements of quantities supplied from the berth. The terminal has four storage tanks, giving a total storage capacity of 44,000m3. Due to the high volume of fuel stored, the site is under the Control of Major Accident Hazards (COMAH). COMAH aims to prevent and mitigate the effects of major accidents involving dangerous substances which can cause serious damage/harm to people and/or the environment. COMAH treats risks to the environment as seriously as those to people. The site has recently changed ownership and the new owners have been inspecting and testing all the equipment on site. There is a requirement for detecting levels of Hydrogen Sulphide (H2S) and Oxygen (O2) within a 150m underground tunnel connecting the large underground storage tanks to the outside world via a supply pipeline. The existing fixed gas detection system consists of a 12 channel Oldham MX52 control panel, connected to a combination of twelve Oldham OLCT50 H2S and O2 detectors. a1-cbiss are an authorised service centre and distributor for Oldham. a1-cbiss were invited onto site to recalibrate the fixed gas detection system due to their industry leading knowledge of the Oldham gas detection range. The recalibration of the system is required to help maintain a safe working environment within the bunkering terminal. The gas control system was thoroughly tested by an a1-cbiss service engineer but found not to be responding as it should have been. This was partly due to the age of the gas detection control panel and also the detection system had been switched off for over 12 months by the previous owners. 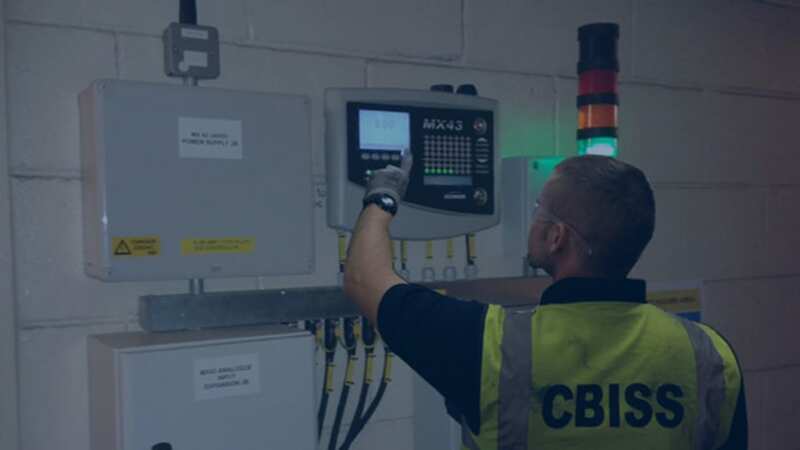 To fix the issues, a1-cbiss sent a technical product engineer to diagnose any potential onsite problems and also carry out a new site survey. As the site also needed to upgrade the warning system for the possible event of a leak within the tunnel, new sounder/beacons and a traffic light warning system were installed outside the tunnel and also near to the control building (which houses the gas control system away from the tunnel). Working with the site manager and COMAH representative, it was decided that a more modern and feature packed Oldham MX43 control system with an 8 channel analogue card was required to help future proof the system and allow for any potential expansion. As the detection area within the tunnel is ATEX EX’d due to the constant present of fuel vapours, the new system had be installed to meet these requirements, leading to the installation of new Zener barriers and appropriate cabling and glands.